The storm of December 21st. caused yet more significant losses at Happisburgh, I remain utterly confirmed in the belief that our problems are, in the main, man made. I have before me the Crown Estates Licensed Dredging Areas Index of Plans. There are seven areas around the UK coast where dredging is taking place. In every one of those areas there are extremely significant coastal erosion problems! The sheer scale of this dredging activity is absolutely mind boggling. Aggregate extraction from off the Norfolk coast alone has depleted the marine environment by a staggering 114,087,993 Tonnes over the period 1992—2002 inclusive!! 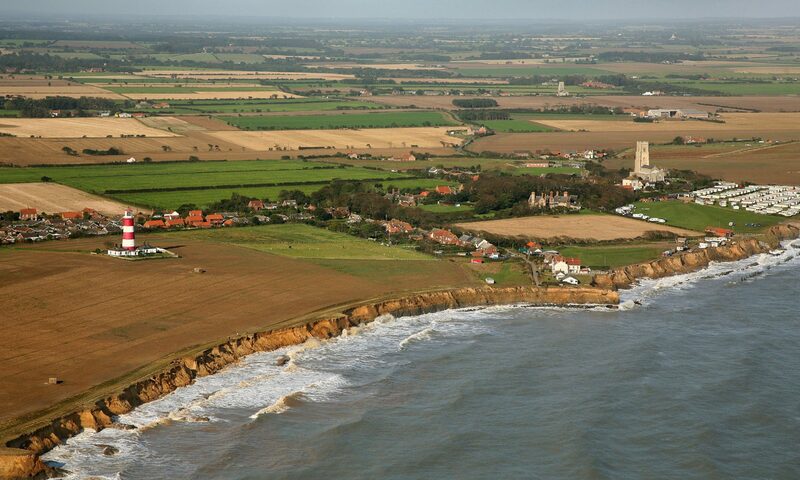 Little wonder then that Happisburgh’s erosion problem has increased over app. the same period by two orders of magnitude. To give an indication of the profit HM Government makes from this dredging activity in the form of royalty income, here are the latest figures for the past five years, remember this is from off the Norfolk coast alone there are six other areas for which I do not have the figures. This totals for a five year period £26.02 Million. Over the same period Government spending on coast defences in North Norfolk was £1,190,243!! Not one penny of that at Happisburgh. Suddenly one can begin to understand why our Government is a tad economical with the truth, why they desperately do not want the subject of offshore dredging mentioned or discussed. I most fervently hope that we do not find any politicians either Non Executive Directors, Consultants or in the Lobbying employ of the dredging companies. Also it becomes easier to see why DEFRA use such an inadequate, over complex system of so called Criteria and Point Score for the application of Grant Aid for coast defences. It’s all smoke and mirrorsintended to create confusion amongst the public whilst they divert funds inland. Coastal Communities are being discriminated against on purely financial grounds. That is morally indefensible, a complete betrayal of millions of coastal dwellers all around this Nation and surely cannot be legal ! To all coastal communities around our shores particularly those adjacent to dredging activity, I would say you, just like Happisburgh are being thoroughly stitched up by HM Government. I would urge everyone to write to the Deputy Prime Minister, John Prescott demanding a moratorium be placed on offshore dredging immediately and remain in place until either a Public Enquiry or thorough comprehensive, independent study has determined the cause and effect on coastal erosion of offshore aggregate dredging. to date no such enquiry or study has been undertaken ! We cannot allow this situation to continue. Ruined coast defences MUST be replaced. Compensation MUST be paid, as is demonstrated here, the money IS available to facilitate these things. Above all dredging MUST cease until we have the definitive answers to the problems increasingly associated with it.